Have you ever heard of Toji? 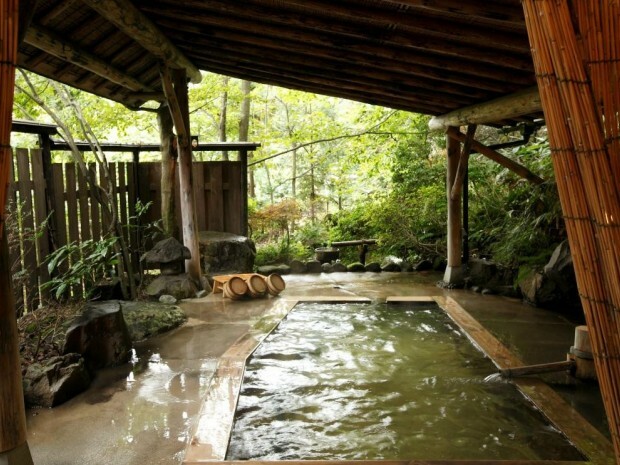 Toji is a Japanese word that literally translates to "hot spring cure." Simply put, it is to stay at hot springs surrounded by refreshing nature, often at length, to recuperate your health, physically and mentally. The custom goes far back in Japanese history. In the old times, farmers and fishermen would visit hot springs after a year of diligent labor to heal and reenergize their bodies and minds to prepare for another year of hard work. Some say this is the origin of Japanese people's idea of vacation and R&R. It feels to me "vacations" in recent years have become more about spending money and experiencing luxury. While it may help us get away from our everyday lives, these "vacations" often leave us with a sense of exhaustion and guilt over the extravagance rather than helping us relax and rest. Toji, on the contrary, is a perfect rest and relaxation experience. There's a shared kitchen where you can cook your own meals using local ingredients. There's no itinerary; you can eat, sleep, and take long baths in the hot springs anytime you like, getting as much rest as you need. All you need to do is listen to your body and mind. You find true healing in Toji experience. Built in the late 60s, the facilities of the Toji House at Ryokan Ohnuma are getting quite old. We want to renovate and turn it into a "Shared Toji House," which is a very similar concept to shared houses/apartments and offices, though made better with great hot springs! Our Shared Toji House will be a space of co-creation where artists, social designers, and other creative minds from all over the world get together to share the experience of the amazing nature and hot springs of Naruko, openly exchange ideas and values, and together create something new, something better. It is our mission is to make Tohoku the home of Toji culture, in which healing and creativity thrive together, and revitalize the Satoyama areas of Naruko. We plan to finish the renovation of The Shared Toji House on the summer solstice next year, June 21, 2013. 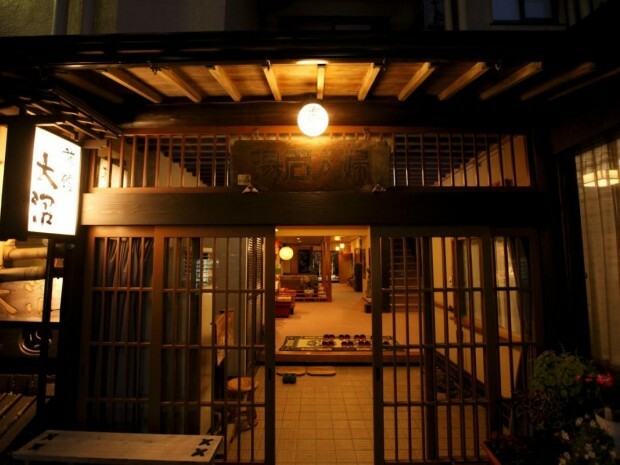 -Get a traditional Toji experience while staying in a private room (with lock). Relax your mind and body, and enjoy all the rest you deserve. -If you're so inclined, you can also get some work done at the Toji House. Free wi-fi is provided in every room. If you get tired from working at a computer, you can always hop into the hot springs. -Both short-term and long-term stays are available. Stay overnight, or a year. It's completely up to you. -Solo travelers, male or female, are welcomed. -There's a shared kitchen so you can cook your own meals. Variety of quality local produce and ingredients are available in the area. -Our lodge-style annex, "Mori-no-Yakata," offers a quiet space that is perfect for many different purposes from zen meditation and yoga sessions to seminars and boot camps. -We also have a separate tea house, "Ryokusei-An," for you to enjoy traditional tea ceremonies. -Our "yumori" (hot spring keepers) are all licensed hot spring guides. They'll make sure you have the best bathing experience and offer you tips on what to do and see in the Naruko Hot Spring Village. -We're conveniently located in the middle of the Naruko Hot Spring Village, perfect to visit any of its nine different natural hot springs. -We have cultivated and turned unused land into an organic soy bean farm. If you're a farmer, you can always get the joy of working outside, under the sun and in the dirt. The farm also offers fresh edamame and miso paste! -We have a music practice space if you play any music instruments. We can also help find mini concert opportunities in local venues. So far, we've helped 6 such mini concerts by our guests happen. -The Satoyama of the Naruko Hot Spring Village offer you a one-of-a-kind community experience. Meet and connect with wonderful people, locals and visitors alike! Let yourself soak in the power of natural hot springs, gifts from the Earth. Take walks. Sit and meditate. These simple acts open questions that lead to the true meaning of life. This program will help you free yourself and regain your integrity. 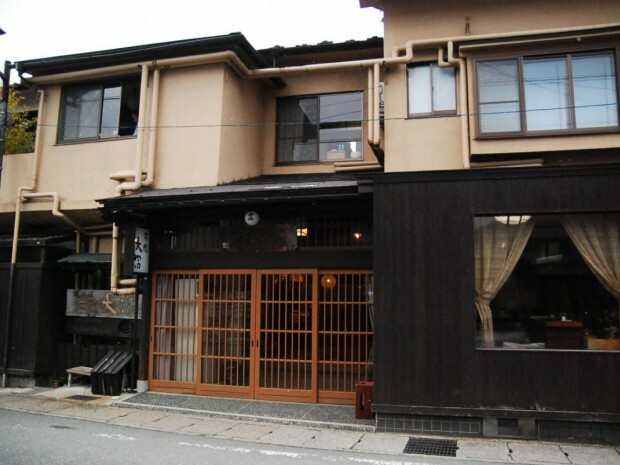 ▲Ryokan Ohnuma, traditional Japanese inn with over 100 years of history. We hope to turn the Toji House into a shared space where creativity blossoms. In this modern world, people are living in a constant rat race, barely keeping up with the extremely fast pace of our current lifestyle Our constant pursuit of development and economic globalism has caused so much damage to the environment and local cultures of the world. It's no surprise if many of us feel overwhelmed and exhausted from being under a lot of stress all the time. As a "yumori" (hot spring keeper), I've always taken it as my mission to advocate Toji culture, and now I'm feeling its importance more than ever. Toji is an opportunity to stay and relax in the embrace of nature to get your body into rhythm. It is an opportunity to sit down, ponder on life, and get to know your true self. We hope many will visit the Naruko Hot Spring Village to experience Toji and enjoy its abundant nature, savory slow food, colorful local culture, and, above all, heartfelt hospitality of the local people. It will be a trip to retrieve the essence of life, which may get lost easily in this hectic modern world. ▲A simple, traditional meal of soup and three dishes using local organic vegetables, included in some stay plans at the hotel. Our meals are not luxurious; better yet, they are essentially nourishing. Even after a year and half, 300,000 people are still without home and living in shelters. With the high levels of radiation, many parents in Fukushima are still feeling scared to let their children play outside. The semi-forced confinement of Fukushima children will continue for years and years to come. As a father of little children, my heart aches for those children and parents. Feeling of resignation has spread in Tokyo and other big cities, and over 30,000 committed suicide last year. This whole incident made me ask myself: What can we do with what we have—the hot springs? To create a space of healing and creativity was my answer, and to make it come true, I want to turn our inn into the dream Toji house, where people from all around the world can get together. ▲Snowy Naruko Canyon. The Naruko Hot Spring Village is surrounded by nature. The way the landscape changes through the four seasons is simply astounding. More and more people these days are shifting from "owning" to "sharing." They enjoy sharing accommodations and offices with friends and people of like-mind. It seems that many have realized what is really essential in life and are freeing themselves of materialism and competition and, instead, pursuing ways to actualize a world of symbiosis and co-creativity. Culture of hot springs is culture of sharing, where, ever since old times, people have together enjoyed soaking in the natural spring water, bountiful blessing of the earth. 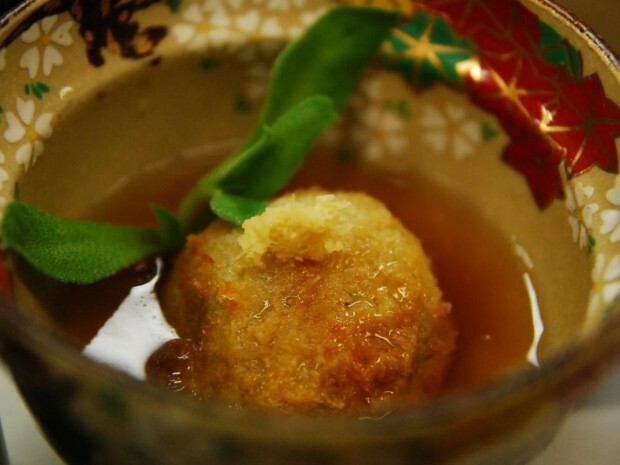 In Toji, people would also share the kitchen, sometimes cooking and eating together, which might as well have been the origin of the budding roommate culture of the current Japanese society. Now wouldn't it be exciting to create a space where people can connect through Toji and together let their creativity thrive? If the Shared Toji House is made possible, it'll be the first ever such place in the whole wide world! ▲The right wing of the main building is the Toji House. We'd like to renovate its kitchen and rooms to turn it into our dream Toji House. My biggest dream is to create a "space of life" this wonderful Satoyama of Naruko, where everyone can lose themselves in the embrace of the beautiful mountains and their hot springs with a history over a thousand years. I want Naruko to be a place where people, young and old, feel welcomed and can connect with each other whether they're visitors from cities, travelers from across the ocean, refugees, or the locals of Naruko. I want everyone who visits this place to immerse themselves in nature and feel alive. This Shared Toji House project is the first step toward realizing my dream. I will really, truly appreciate your support. 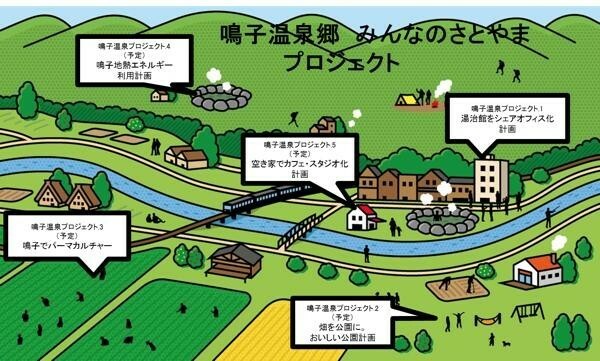 ▲This is the image of the "Space of Life" in the Satoyama of Naruko. The Shared Toji House will be the first step toward the dream. “Having been a part of design and management of shared houses and guest houses, I started to believe that what’s at the core of the act of sharing is the joy of giving. Those who willingly share their living space with others seem to realize that by giving first, they actually get something bigger in return. It’s not that they try to give first because they want to be rewarded. They give first because it gives them joy. By offering many little acts of good will to each other, they create a comfortable, fulfilling living space. I’m sure something similar will happen at this shared hot spring space. The slower, more relaxed pace of life of the hot spring resort will help people open up and fully enjoy “giving” ideas and inspirations to each other. There will be more variety among the community members, for with the Toji House, people will be constantly coming and going. Inspirations will spark in an environment that goes beyond the frame of the everyday life. Such inspirations will be shared with the guests who “happen” to be there and be passed onto newcomers who will help them evolve by adding their creativity. 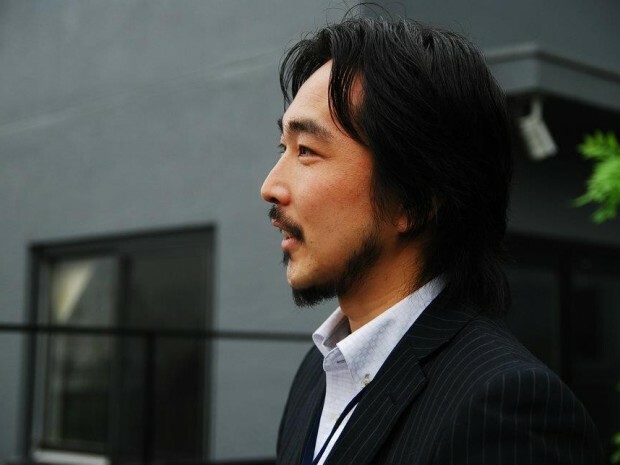 Tsukasa Ono, RenovationDesigner at ReBITA inc.
With years of experience at a design office, Ono started working at ReBITA, Inc. in 2007. Since then, Ono has worked as a design manager in planning and managing of the corporate’s shared house project, “THE SHARE,” and other shared houses including Riento Tama-Daira, a renovated public apartment complex. Taking an approach that values both tangible (architecture, programs) and intangible (community design) aspects, Ono strives to create and deliver a whole new living space. The Fifth Owner and Yumori of Ryokan Ohnuma, Japanese inn with a hundred years of history. Graduate of Rikkyo University with a degree in Tourism. 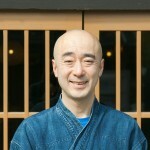 As the head of the East Naruko Dream Association (non-profit), Ohnuma has been engaging in community design and development in Naruko. 2003 Founded the East Naruko Dream Association and began an endeavor to develop and revive the community combining art, music, and agriculture with the village’s traditional Toji culture. 2004 As a member of the Tourism and IT research committee of the Ministry of Land, Infrastructure, Transport and Tourism, started the Rice Farming Toji program that blends rice farming into Toji culture. 2005 Received the Minister of Health, Labor and Welfare award in the “People- and Community-Friendly Inn” category from the All Japan Ryokan Hotel Association. "Research on a Car-free Transportation and Health Promotion Program In Tourist Cities" chosen as a model project for the government's urban renewal research program. Produced "Trike Tourism," a tourist program using the three-wheel scooter, and "Patrike," a neighborhood crime watch group with local senior citizens as main members. Launched "GOTEN GOTEN Art & Toji Festival," art event in the main Toji areas, which continued till 2008. 2006 Started the "Yama-mori Toji" program with an aim to protect and nurture local forests and mountains. 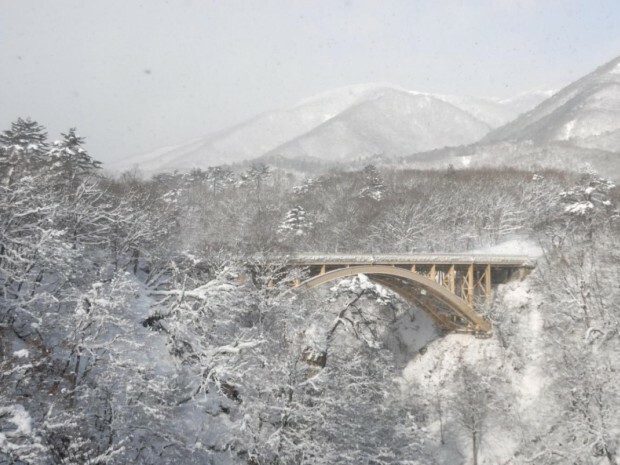 2007 With the East Naruko Community Design Association, claimed Naruko as the home of sodium hot springs. 2008 The East Naruko Dream Association awarded by the Ministry of Internal Affairs and Communications for community design. 2009 Cultivated unused land and started "Organic Soy Beans & Toji Program at the Naruko Hot Spring Village." 2010 Held an event, "Thousand Years of Toji," in the Naruko Hot Spring Village. 2011 Founded SOYS LLC., with an aim to create space of life, with a local composer, Yoko Oba. The company has been employing those affected by the Great East Japan Earthquake.